Corvettes have been a major player in auto racing almost since the car was created back in the 1950’s. 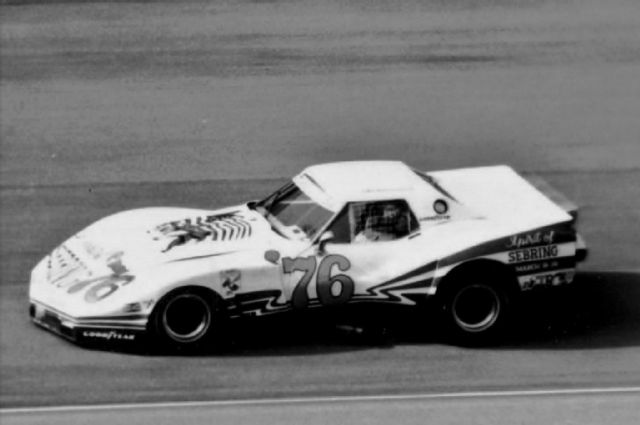 One specific car that will go down in history is the 1976 “Spirit of Le Mans” wide body Corvette that was built by John Greenwood n the early 1970’s. Greenwood built the cars to compete in endurance auto racing like the 24hr of Le Mans, 24hr of Daytona and the 12hr Sebring race. Greenwood had attended the Le Mans races before with his Corvettes and the loud throaty V8 grumble was most definitely a crowd favorite. 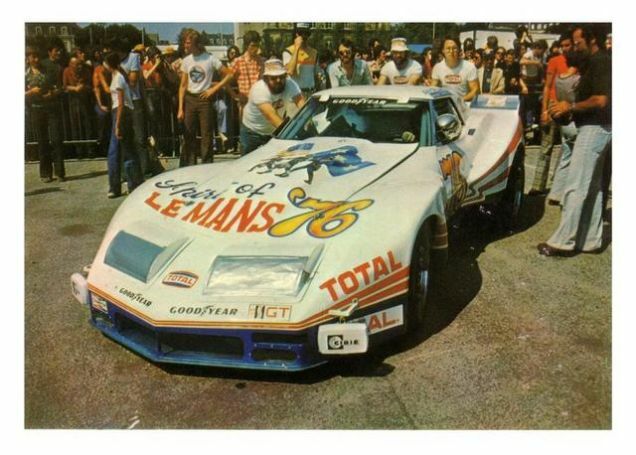 So when the French Racing officials got word that he had custom built a few of the, new at the time, C3 body style Vettes they lobbied for him to bring one out to the Le Mans race in 1976. In those days there was a very serious oil crisis so the number of entries into the race had significantly dropped from previous years. So to make sure that Greenwood would show, the French government agreed to pay him an appearance that was said to be around $55,000. These Corvettes were full blown race cars, every surface of the car was bent or treated in some way that would help improve down force. With a all aluminum Chevy big block engine that was conservatively raged at 700hp, many that drove the car thought it was significantly higher. Greenwood was using wide-body kits before they were a cool thing to do, now you can spend as much as $30,000 on a wide-body kit from Liberty Walk. Greenwood built many Vettes in his day, one of which for Rick Mancuso out of Chicago. Mancuso planned on racing the car at both the Daytona and Sebring Races, but unfortunately the car was not delivered in time for Daytona and it just barely made it in time for Sebring. Mancuso and his team were devastated when an accident during the practice session took them out of the competition all together. At this time is when Greenwood was being recruited for the Le Mans Race, however his Vette was also damaged at Sebring and would not be able to get repaired in time. So in order to fulfill his engagement he requested to use Mancuso’s car to which he agreed, as long as he could be part of the team. When it came time to leave however Mancuso was not able to get time off work, even though he worked for his dad and a car dealership. Why in the world his dad would prevent him from going to compete in the biggest 24hr race in the world is beyond me. 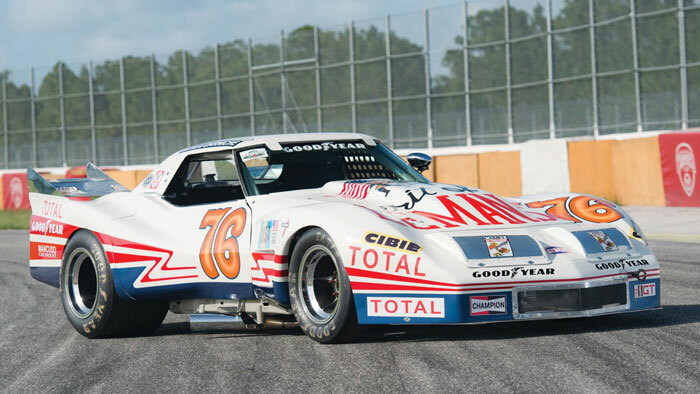 None the less, Greenwood would take Mancuso’s Vette to the race where it was re-branded as the “Spirit of LeMans ” with full red white and blue livery. The car would also carry No.76 to show respect to the Americans Bicentennial anniversary. Now what I found to be incredibly impressive was how well the car performed back in 1976. Greenwood ended up qualifying ninth for the race with a lap time of 3 minutes 54.6 seconds. To give it perspective and show you just how impressive, the best qualifying time of the 2015 running was 3 minutes 54.9 seconds! The track that Le Mans takes place is called the Circuit de la Sarthe and since 1923 it has been extensively modified from the original configuration. Most notably was the changes made to the Mulsanne Straight, it used to be a 6km long (3.7 miles) and racers were able to reach ridiculous speeds on this long straightaway. In 1988 French Driver Roger Dorchy was clocked at 252mph! 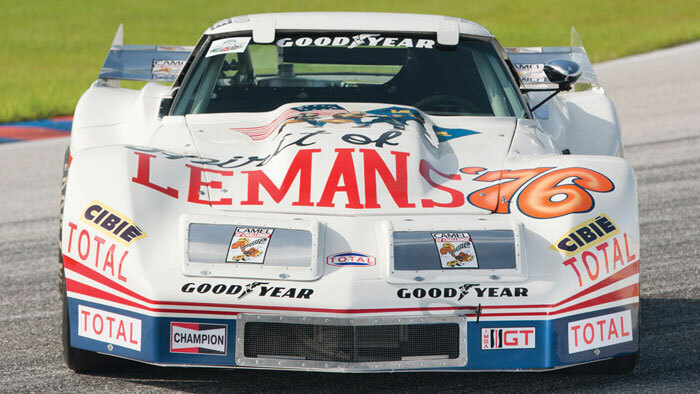 Even the Spirit of Le Mans Corvette was able to reach speeds over 225mph during the 1976 race. In 1990 race officials added two chicane style turns to the straightaway which significantly reduced the amount of time spent at high speeds. With the new configuration top speeds are right around 200mph, which obviously is still pretty quick but its only for short periods of time. I apologize, I could not find orignial footage of the car. This appears to be after the restoration of 2011. 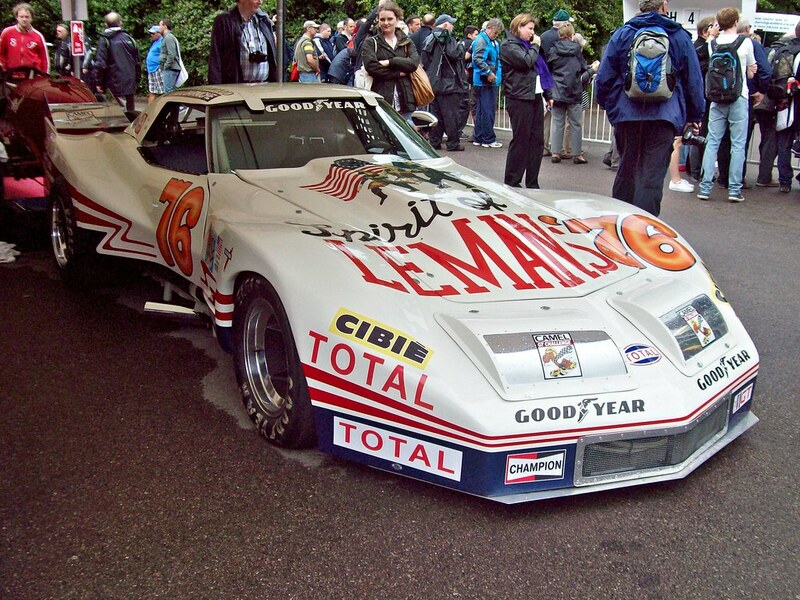 During the 1976 Le Mans Greenwood his 700hp Corvette were running strong up until the 16th hour of the 24hr race. It then suffered a blown tire that forced the car out of the race all together. But he still managed to finish in 49th place. Since then the car has been kept in good condition, it was even featured at the Goodwood Festival of Speed and Le Mans Classic back in 2011. At the time it had just been freshly restored, again, only this time they decided to do somewhat of a resto-mod because under the hood now sits a 600 cubic inch Chevy V8 that happens to be fuel injected bringing the total horsepower up over 1,000! 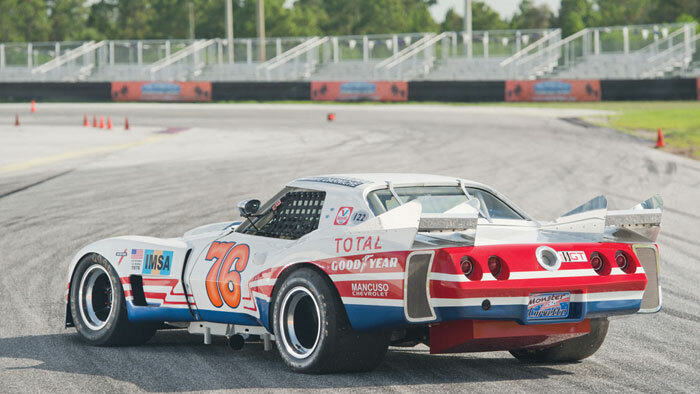 However all teh body panels and liveries are the same as they were back in 76. In 2013 the car went up for sale at the Monterrey Auction with a price tag right around $1 million however it was never sold. 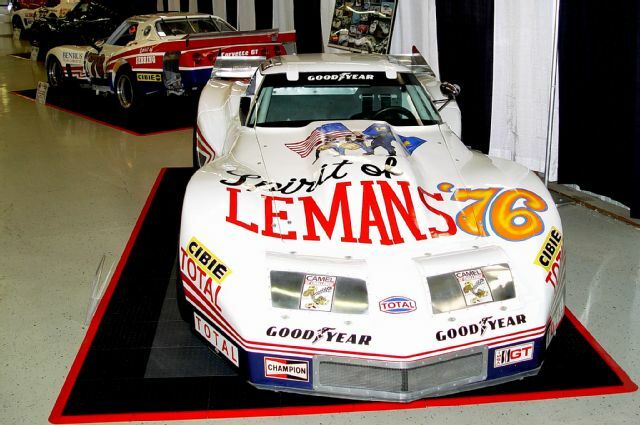 Starting June 15th it will be on display at the “Americans at Le Mans” exhibit at this years Le Mans Race.